These presentation slides 45566 are complete compatible with Google Slides. Simple download PPTX and open the template in Google Slides. You will be astonished and positively surprised by the effect this template will make on your presentation. 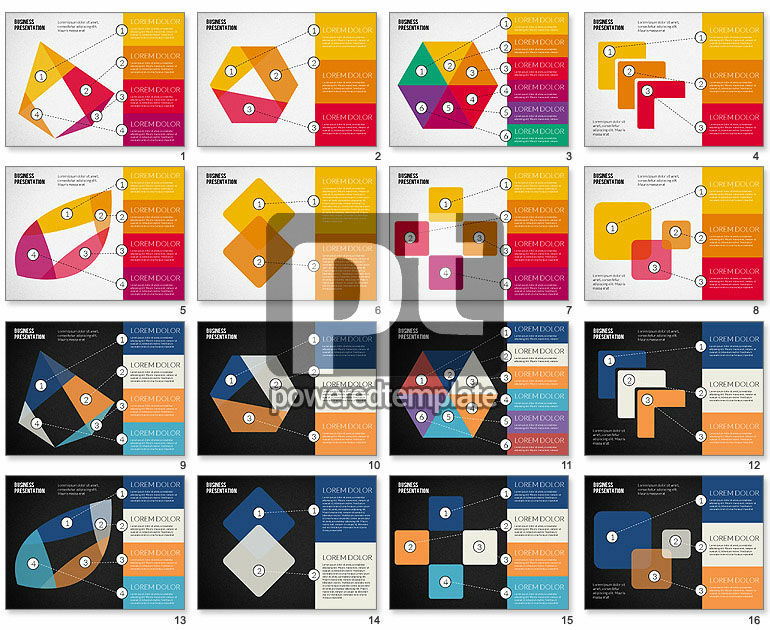 Created in a cool abstract style, it will perfectly suit to visualize various aspects of business. This magnificent theme has various colorful figures and stripes connected to each other in various ways to visualize your information and get through to the audience and reach for success.